ALL DEPOSITS ARE NONREFUNDABLE AND PAYMENTS MADE IN FULL WITHIN 30 DAYS UPON ARRIVAL ARE NON-REFUNDABLE FOR ANY REASON. All reservations will require a deposit equal to 50% of reservation (excluding taxes). Please check vacation dates carefully as deposits are NONREFUNDABLE! Remaining balance of reservation is due 14 days prior to arrival. Reservations will be cancelled by management and cancellation policy within 30 days will be applied if balance is not received before this date. Reservations made within 14 days of arrival will be required to pay in full at time of booking and loss of entire reservation charge if cancelled. Management will charge the credit card on file for the remaining balance of the stay. You must be 25 years old to make a reservation. Those making reservations will be responsible for the entire party and any guests that come to visit. Missing items, damages, and/or excessive cleaning to cabins will result in additional charges. Extra charges will be applied to credit card on file. There is a 2 night minimum in the off season and a 4 night minimum in the high season. 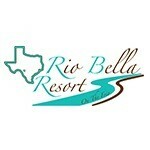 Opened in 2015, Rio Bella is a family-owned, river resort on the beautiful Frio River. A newly renovated home and 12 brand new cabins; it is the chosen destination for your family vacation. Located between Leakey and Concan about 5 miles from Garner State Park, Rio Bella has 1200+ feet of private Frio River frontage, a 16,000 square foot carpet grass river park, and 3 gathering areas with fire pits. 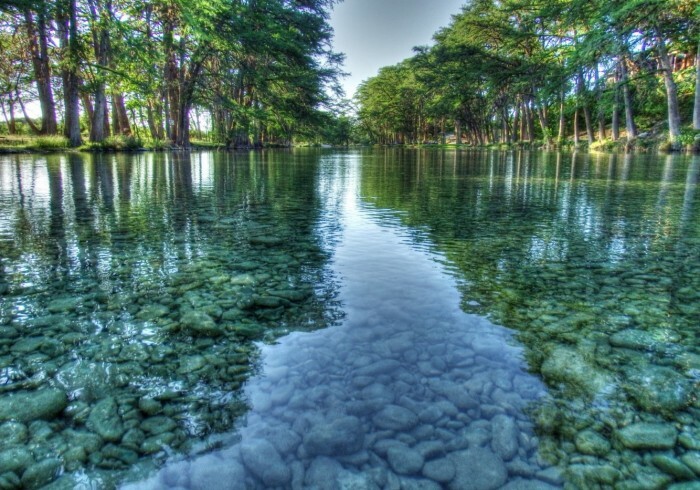 Virtually unaffected during drought conditions due to the historic Lombardy Dam and natural underground springs, the Frio River at Rio Bella Resort is considered one of the most beautiful by old-timers of the canyon. Accommodating up to 100 people, Rio Bella has all the amenities of home with open floor plans, full-size kitchens, and living areas perfect for gatherings after a fun-filled day on the Frio. All cabins have french doors that open to a large bluff-hanging balcony overlooking the cypress-lined Frio River. The house and cabins include linens, outdoor BBQ pits, DirecTV, Wi-Fi and kitchen supplies needed for a home away from home vacation. A desire to relax and renew your spirit on the Frio River is all one needs to experience the Frio Days and the Frio Nights at Rio Bella. Consider us for your wedding, corporate retreat, couples getaway, or next family vacation on the Frio! For more information, please visit our website at www.riobella.com.